Anyone want to go skating? The Milton Tennis Club is awaiting Spring. 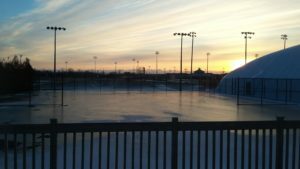 Our back five courts are sheltered this winter and the front three (pictured here) will be under construction ASAP. 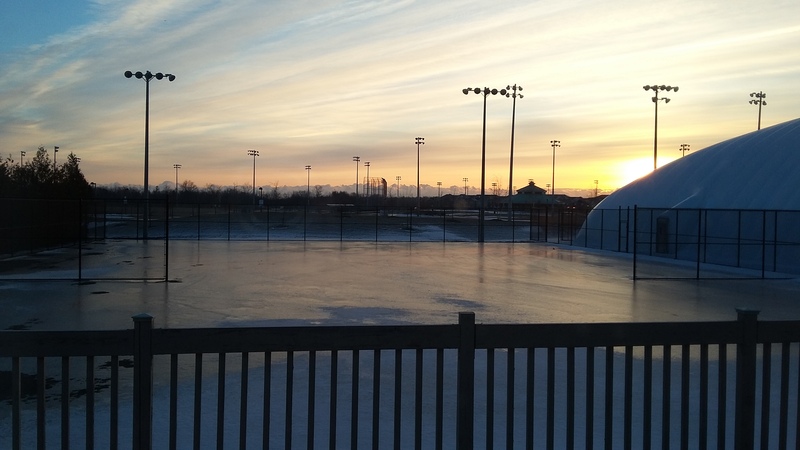 2019 will eventually bring us eight brand new courts to enjoy. Think warm thoughts and see you in May! Congrats to our Junior InterCounty teams!